Works and Transport Minister Rohan Sinanan has expressed disappointment that the Churchill Roosevelt Highway extension between Cumuto and Guárico has been stopped after the Court of Appeal granted leave to environmental activist group Fishermen and Friends of the Sea (FFOS) on Friday to take its challenge to the highway’s construction to the Privy Council. In an oral ruling, Justices of Appeal Rajendra Narine, Prakash Moosai and Charmaine Pemberton held that the FFOS had a genuine and legitimate dispute with an arguable appeal to take to the Privy Council. They granted the injunction stopping all work on the highway’s construction on the basis that any damage to the environmentally sensitive Aripo Savannas forest reserve would be irreparable and impossible to compensate. 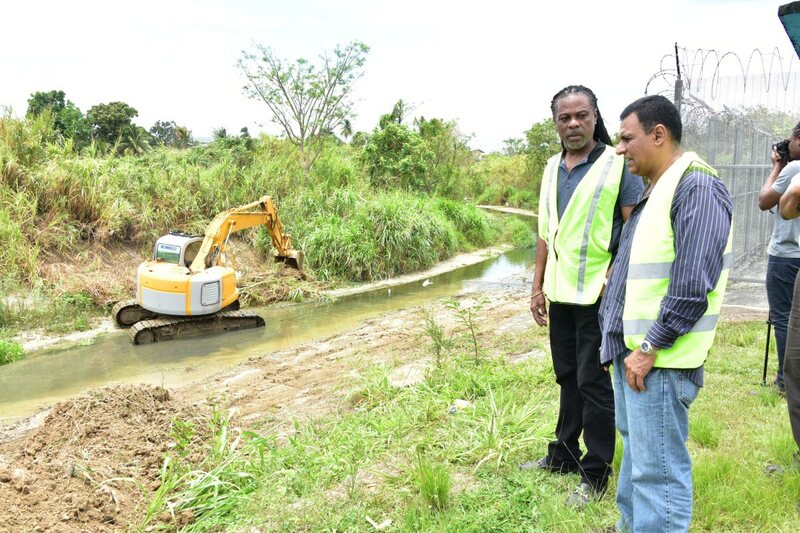 However, speaking to reporters during the launch of the Ministry’s Drainage De-silting Programme at the edge of the Cipero River, San Fernando, yesterday, Sinanan however expressed confidence that the Privy Council would rule in the ministry’s favour. He said, “The thing about it is that NIDCO, the Ministry of Works and the EMA would have won in the High Court, we won in the Court of Appeal, they process we live with in Trinidad is that the Privy Council is the final court and it is only fair that we are asked to go to the Privy Council that we got that opportunity. And regarding the de-silting programme, he said Cabinet had approved some 298 projects to be conducted throughout Trinidad in anticipation of the start of the rainy season. He said the projects had been evenly distributed throughout Trinidad with no one area having received the bulk of the work. He also touched on the Sir Solomon Highway extension to Point Fortin saying the two segments currently under construction were between 90-95 per cent complete and that an additional four segments would be issued shortly. Regarding the Tobago sea bridge, Sinanan said those “woes” might be a thing of the past with the arrival of the Galleons Passage and when the TT Express was returned to service following a major overhaul. Reply to "Sinanan disappointed by highway stoppage"